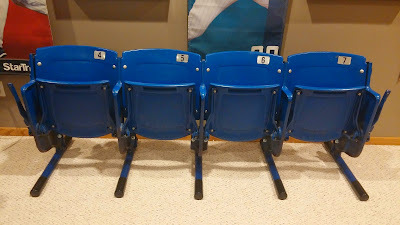 It's been quite a while since I updated this blog with a picture of my Metrodome chairs after attaching the legs. I bought the chairs in January of 2014, and a few months after that I bought the feet for the chairs at Crystal Welding. They're very well made and look nice. 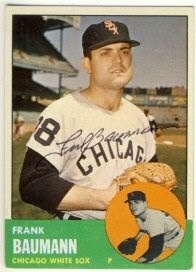 Today I received a nice return from Frank Baumann, who signed his 1961, 1962, 1963 and 1964 Topps. I REALLY need to get some more cards to send out. 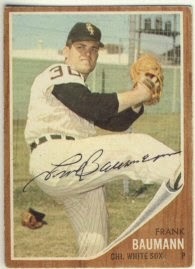 Today I received a TTM return and an Ebay purchase. 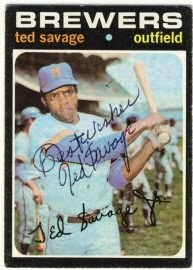 Ted Savage signed his 1963 and 1971 Topps in almost a month. 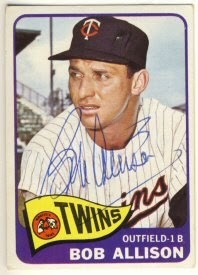 I also received a 1965 Topps signed by Bob Allison, It's JSA-authenticated. 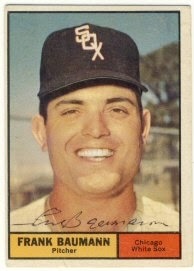 I also received a few unsigned cards from the 1963 set that I plan on sending out later this week. 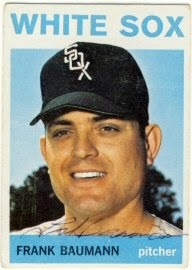 It's been very slow lately as I haven't had much time to send out requests, and I don't have many cards to send out. 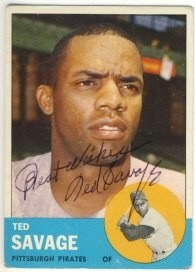 Today I added another signed 1963 Topps to my collection. 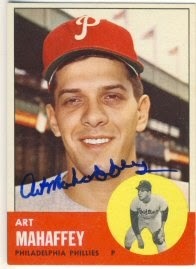 Art Mahaffey signed his card in about eight weeks. He was also nice enough to put my card in a semi rigid card holder for the return trip. I usually don't use card holders because they have a tendency to cause envelopes to get caught in the postal sorting machines, but this one arrived safely. 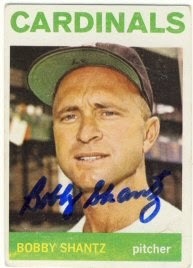 Today I received a quick return from Bobby Shantz, who signed his 1963 and 1964 Topps for me. I sent this to him just 7 days ago. 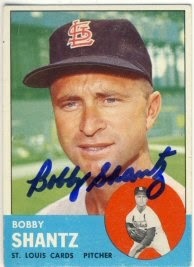 I had previously purchased his signed 1963 Topps, but I really like to get them myself when I can. 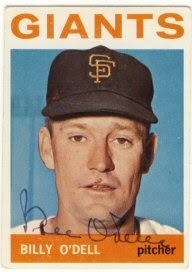 Mr. Shantz is a very generous and reliable signer through the mail, but it took me a while to find his 1963 card for a reasonable price since it's in the high number series. 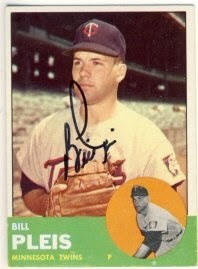 Yesterday I received a return from former-Twin Bill Pleis, who signed his 1963 Topps for me. If things slow down a bit for me, I'll stock up on some more cards to send out. I haven't been sending many lately. It seems like my returns are coming back very slowly lately. I've sent out a few here and there but they just aren't coming back. Today, I was surprised to get two returns that had been out a while. 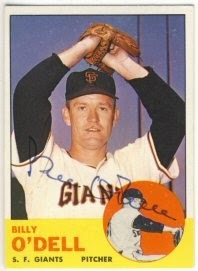 First, Billy O'Dell signed his 1963 and 1964 Topps that I sent to him last October. I didn't send out many Spring Training requests this year. Just four. And one of those never made it because the request I sent to Matt Capps with the Braves was returned twice due a a bad address. But I did get one back today. 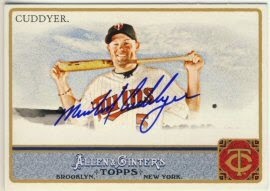 Michael Cuddyer signed his 2011 Allen & Ginter that I sent back in early March. Cuddy is on the disabled list with the Mets so I guess he had some time to get to his fan mail. Thanks Michael!